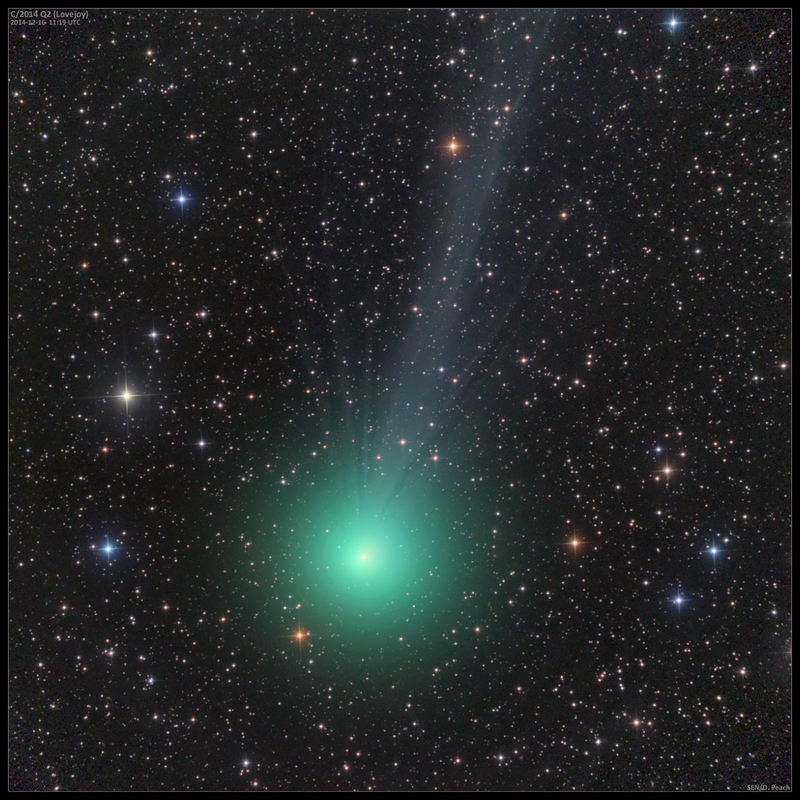 Here is C/2014 Q2 on December 16th. Some nice tail streamers again visible. 20"CDK with FLI camera. LRGB image.